Oklahoma City is going through a renaissance. “There’s an energy about this place,” says Leslie Baker (’86 ag journalism) – and she could either be talking about her city or her museum. 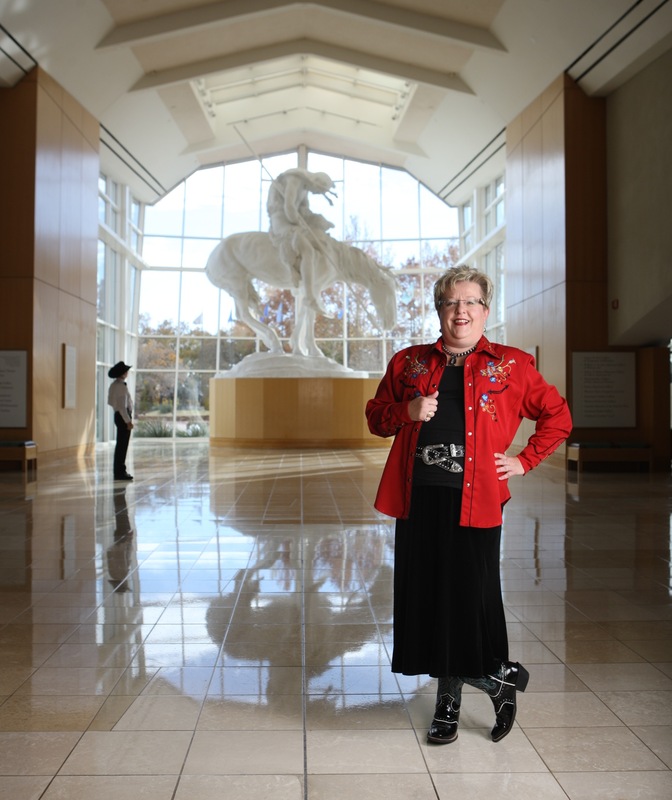 Leslie is the director of marketing for the National Cowboy & Western Heritage Museum. The 220,000-square-foot facility, a premier showplace for western art and history, is visited by more than 200,000 visitors a year. “As director of marketing I’m always trying to get the needle higher, so I need a bunch of Cyclones to come see us,” Leslie said, laughing. With a background in journalism, agriculture, horses, and advertising, the job is a perfect fit for her skills. And it all started at Iowa State. Following graduation, Leslie went to work for the American Quarterhorse Association, where she stayed for 12 years before moving to a full-service advertising agency in Amarillo. She took the museum position in 2003 just as the last gallery came on line at the end of a multi-year expansion, tripling in size in the mid-1990s. Leslie has two children, a 20-year-old son, Hagan, and a 9-year-daughter, Hadley. As for Oklahoma City, its renaissance began after the 1995 bombing of the downtown federal building. A note about the photo: Leslie is standing before the 18-foot James Earle Fraser The End of the Trail sculpture. “It’s awe-inspiring,” she says.